There is no doubt this is an authentic photo by Arthur C. Pillsbury. It has been used on a post card, P. P. No. 1036, which was very popular and sold widely for many years. Below we explain the significance of this to the ongoing evasions by the Adams Family, in this case Michael Adams, Ansel's grandson. Questions to be asked today: Why did the lawsuit end when it did? And has the Adams Family settled with Norsigian? Excerpt from CNN article, with commentary noted using bold lettering. “…[Matthew]Adams, who reviewed Norsigian's evidence last year, said he wanted more scientific tests, including carbon dating, to prove beyond a doubt that the work was that of his grandfather. See description by Melinda Pillsbury-Foster of her interview of Rick Norsigian in September, 2001 for a fuller understanding of both Norsigian and the Adams Family's motives for stalling. He cited "a number of inconsistencies," including the conclusion by two handwriting analysts that notations on manila envelopes containing the plates were made by Ansel Adams' wife, Virginia Adams. The envelopes had five misspellings of well-known Yosemite National Park landmarks, he said. 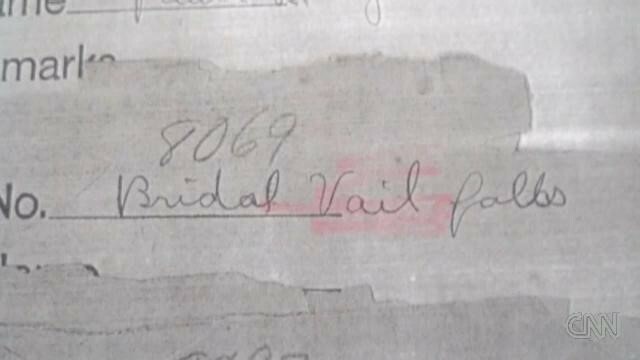 "Bridal Veil Falls" is misspelled twice as "Bridal Vail Falls" and "Happy Isles" is misspelled "Happy Iles," Adams said. Virginia Adams -- who spent most of her life in that area of California -- would have spelled those names correctly, he said. Handwriting analysis and speculations about his grandmother's purported literacy were unnecessary, as the entire Adams Family well knew. Fact One: Ansel Adams did not use a numeric system. 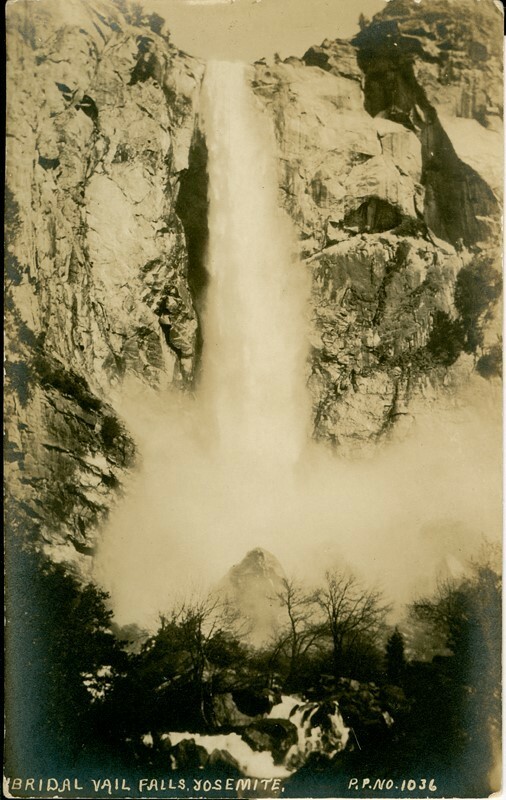 Fact Two: Only two photographers who worked in Yosemite used such a system, according to Leroy Radonovich, an expert on Yosemite photographers who made this known to Pillsbury-Foster at the time Norsigian first contacted her. One of these had less than 1000 images in his catalog. The second was Arthur C. Pillsbury, who had over 100,000 images in his catalog. The number on the envelope below is '8069', indicating a catalog of over 8000 images. Fact Three: Note the spelling of the words on Pillsbury Picture No. 1036. 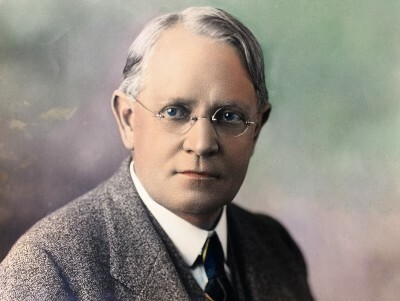 The spelling irregularities were peculiar to Arthur C. Pillsbury. In fact, all of the spelling 'errors' cited by Matthew Adams, are specific to Arthur C. Pillsbury. These do not denote illiteracy (AC Pillsbury majored in Mechanical Engineering at Stanford and had multiple significant inventions to his credit. No, this arises from a writing style reflecting his notion that spelling was not particularly important. However, the writing on the envelope is irrelevant because Virginia regularly worked at the Pillsbury Studio because her Father's studio had very light business and the extra money generated by Virginia's part-time job was welcomed by the Best family. Virginia would have used the spelling provided by her employer, naturally. Fact Four: When Pillsbury-Foster visited Norsigian, at his request, he supplied her with Xerox copies of some of these envelopes, which, he said, had contained nitrate film negatives which matched the description on the envelopes. Norsigian disposed of the film because he thought nitrate film might explode and cause a fire. Scans of the Envelopes Supplied by Rick Norsigian to Pillsbury-Foster.